Hello everyone, how are you doing? 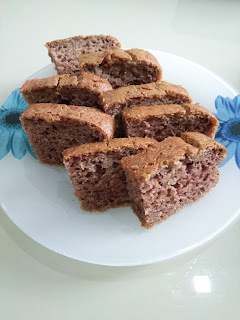 So few days ago I tried to make a banana cake for the first time and surprisingly it tastes quite good. And I made it again yesterday because my mom asked me to. Banana cake is one of my favorites cake but I never bake one before sebab I selalu ada bad luck kalau buat kek haha. But kali ni I rasa nak makan kek pisang so I tried to bake it. So if you have time please make it because it's so easy. Here's the recipe if anyone wanna try to bake it. It's so easy and cheap. Preheat oven to 150 degrees C. In a small bowl, mix together flour and baking soda. Set aside. Combine the oil, eggs, white and brown sugar, bananas and blend them together. 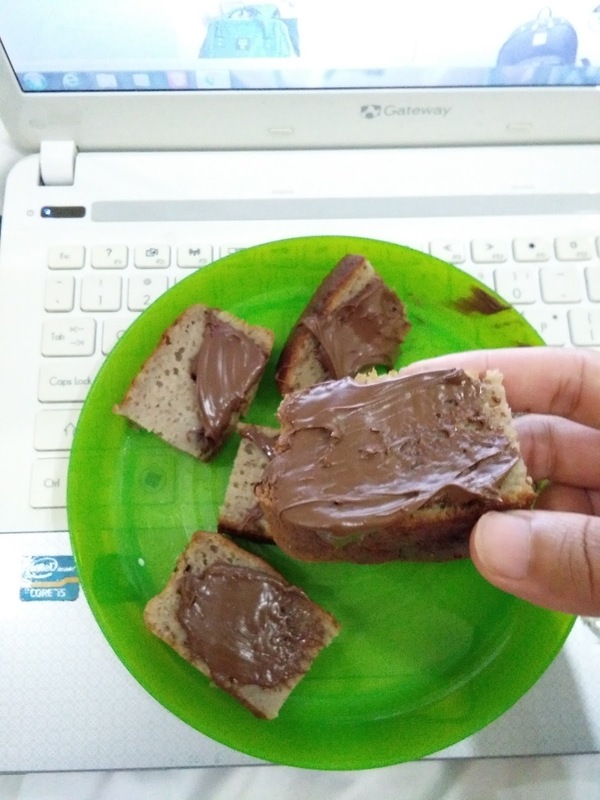 Ni I makan dengan Nutella. Serius sedap. It's so easy to bake and tak payah keluarkan modal banyak pon. Selamat mencuba!